You'll be able to preview the site and see what the Club has to offer, but many sections of the website are for members only. 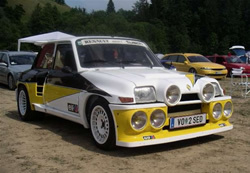 The Renault Turbo Owners Club is the largest Club on the Internet for turbocharged Renaults. Catering for all turbo models from the 5GT Turbo to the Megane Sport, the Club offers help and advice to members, organised events and member discounts at many of the leading tuning and styling Companies. The Club website is the 4th generation of community site. Please Click Here for the Club Shop.